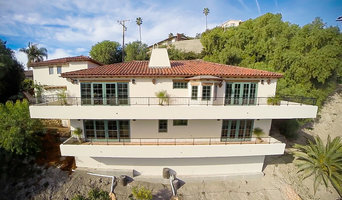 Architect -led Design-Build Firm in Granada Hills serving the Greater Los Angeles Area. Our mission has always been to combine the designing and building of homes into one. We don’t differentiate whether those homes were for the market or for a client. It’s our commitment to provide a service where everything is part of the design. 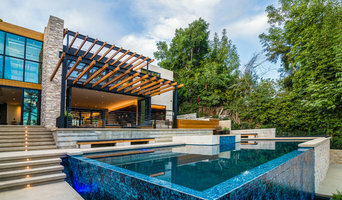 Parson Architecture is an award-winning design studio based in Los Angeles, which crafts distinctive, one-of-a-kind homes for clients in Southern California and nationwide. The design team is led by Earl Parson, who brings his 20+ years of experience to all of our projects. Our clients delight in beautifully executed details, in textures, colors, and patterns. We view our clients as collaborators, not as simply customers, and we see their personalities shining through at their best in our completed projects. Earl Parson is personally involved in every project and gives each design the individual attention it deserves. He brings his award-winning expertise and 20+ years of experience in the custom home industry to each project. When he’s not sketching new designs, he is often found in the Parson Architecture shop, making sparks fly welding up some new furniture prototypes or interior design components for the projects. Our mission is to change our clients’ lives through the power of great design. Contact us today to discuss your project. Our company is based on the belief that our customers' needs are of the utmost importance. Our entire team is committed to meeting those needs. As a result, a high percentage of our business is from repeat customers and referrals. We are a green firm. We would welcome the opportunity to earn your trust and deliver you the best service in the industry. Residential designer for complete interior and landscape design. 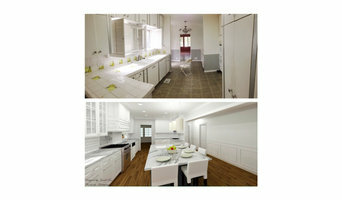 Concept renderings, AutoCAD services to design the perfect space in your home, from concept to completion. IR Architects is a residential luxury design firm specializing in ground-up and remodeled hillside residences in the City of Los Angeles. 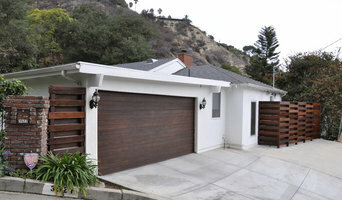 IRA's focus is building homes for the modern family that are both functional and aesthetically intriguing. Our goal is to provide superior design in line with the client’s vision, while balancing the cost. Every client and every project is different. Therefore, we approach each project with an open mind and truly listen to the client’s needs and goals. We pride ourselves in delivering an exceptional product that exceeds client expectations. 28 years as Designer , Home Remodeler /Builder 15 years experience Architectural Drafting and Structural Detail Planner Provide 3d Interior , Exterior Design concepts with , Structural plans & details. I handle project all the way through permit process. We are a small firm Established in the 1981 with 2 locations one in Santa Clarita, and one in Camarillo. Our focus is on contemporary architecture and interiors, and we specialize in a hands on approach from a projects inception to completion. Weather it be meeting with a client multiple times to work out a design or through shear tenacity getting a complicated project approved with a local city we pride our firm on a one on one personal, no issue to big or small, outlook. We make each client’s vision a reality. Each project is autonomous and has to be treated uniquely. The core of our design begins with the client's needs, goals, and budget. Pro Design Creations, is a drafting/design team and our goal is to bring the most talented and creative design solution to each project at a competitive price. This effort is done on our part to provide our clients with the best solution to the needs of their program of use and their budget. I would be pleased in assisting you in your future projects. Please see services below. Windows Blinds Covering Shades is a very big brands in our country United States of America, we are dealing in all types of Blinds Shades Window shutter and windows covering ideas in california, we are providing a good service to our customers who is interested in our business, for contact our company employees for any querry you have to dial on 7147392801. They are giving you a better resonce from our related products. we are here with our Hotmail technician with them you will get the best and instant solution in few minutes for more information and Hotmail Customer service number you need to just a click on our link. How do I find the best Lancaster, CA architect for my home design or renovation project? When building or renovating your home, you don't simply hire an architect or building designer — you build a relationship with them. Be sure you chose a home architect who will be involved in all phases of the design process, from the initial concept to the completed construction. Architecture is an incredibly technical profession and one where getting things wrong can literally put lives at risk, so ensure you hire a professional with a valid license or an architectural firm to maintain high quality and standards. Your next consideration will be architectural style. Some residential architects specialise in designing traditional homes or farmhouses, others in designing modern replicas of traditional homes. While a few have a knack for imagining bolder, more futuristic architectural design in Lancaster, CA that incorporates the latest technology. How much does hiring an architect in Lancaster, CA cost? Home construction and renovation often have a preset budget and hence it is important to understand how much architects charge. While there is no set payment structure, independent architects may charge differently from architectural firms. Architects sometimes choose to calculate their fees on the basis of a per square foot rate. In rare cases, especially with smaller projects, Lancaster, CA architects may choose to ask their clients for a fixed fee. Make sure the total figure and payment schedule is agreed as part of your contract, particularly if you are trying to accurately estimate the cost of building a house. Find a home architect in Lancaster, CA on Houzz. 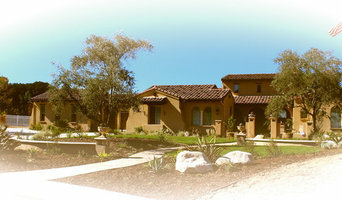 Narrow your search in the Find Pros section of the website to Lancaster, CA architects. You may also look through photos projects to find building designers in Lancaster, CA who have worked on a project similar to yours.